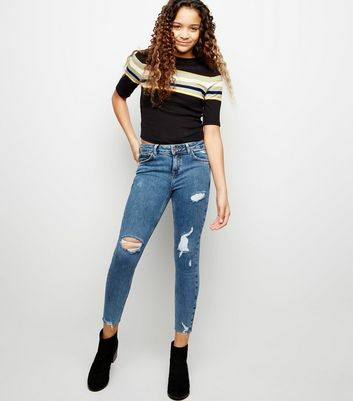 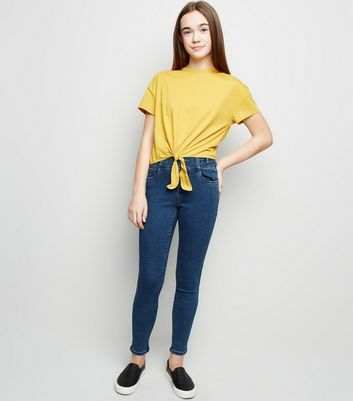 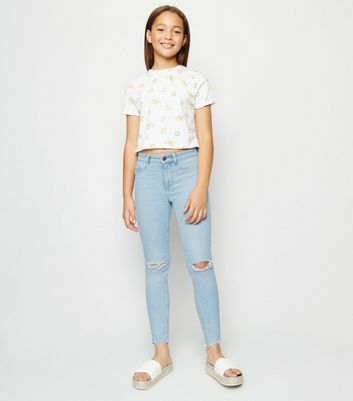 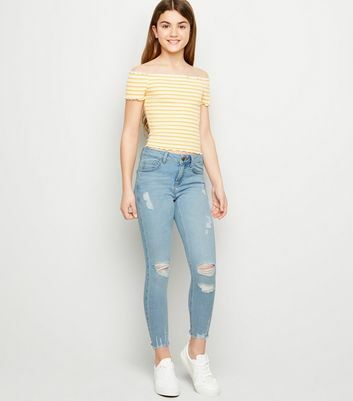 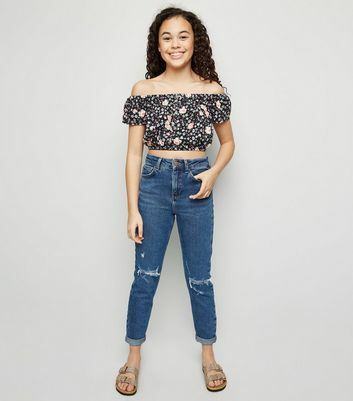 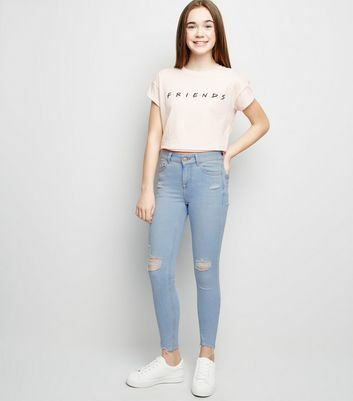 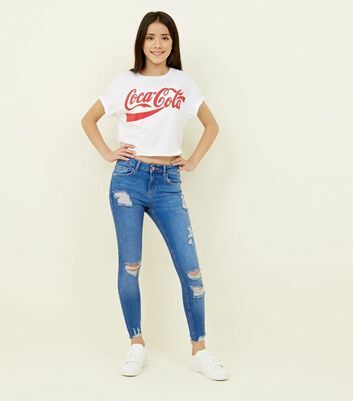 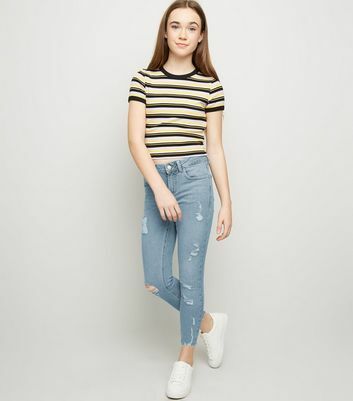 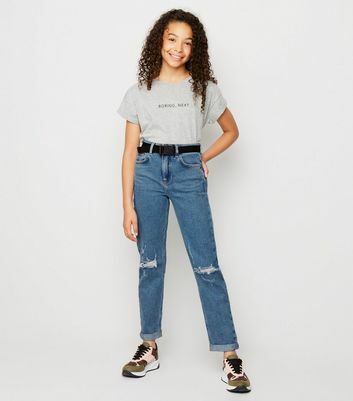 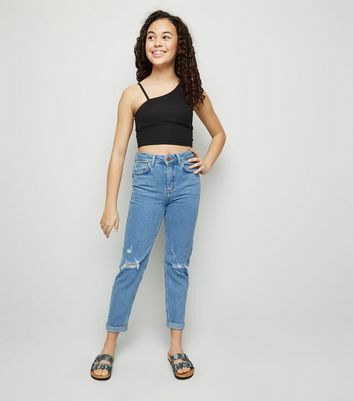 Create a cute casual look and stock up on our cool collection of girls' blue jeans. 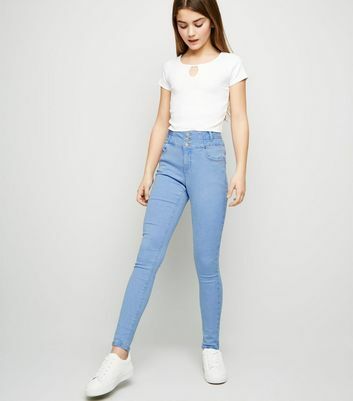 Discover a variety of styles, including high waisted and skinny blue jeans. 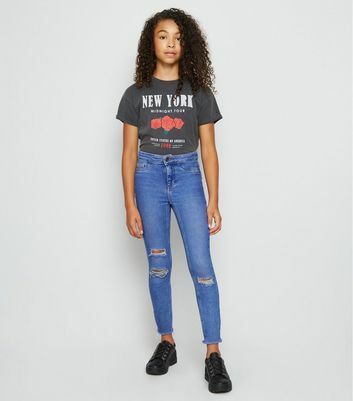 Add an edge to your aesthetic and wear a leather-look jacket, slogan tee and a pair of blue ripped jeans. 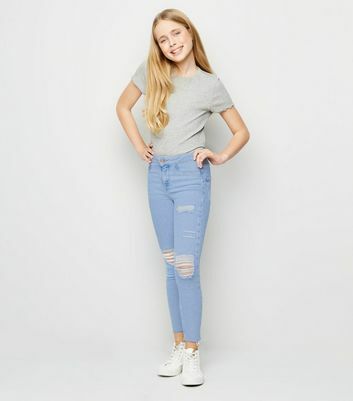 Discover your blue jeans for girls today.